Diameter varies, based on stock on hand. Finish treatment varies. 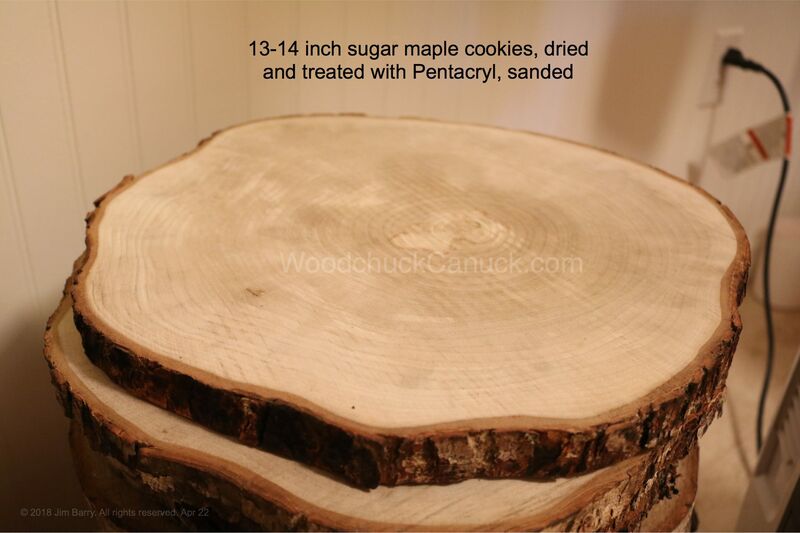 We have some that are “natural unsanded”, “treated unsanded”, and “treated sanded”. All are dry, some have cracks. 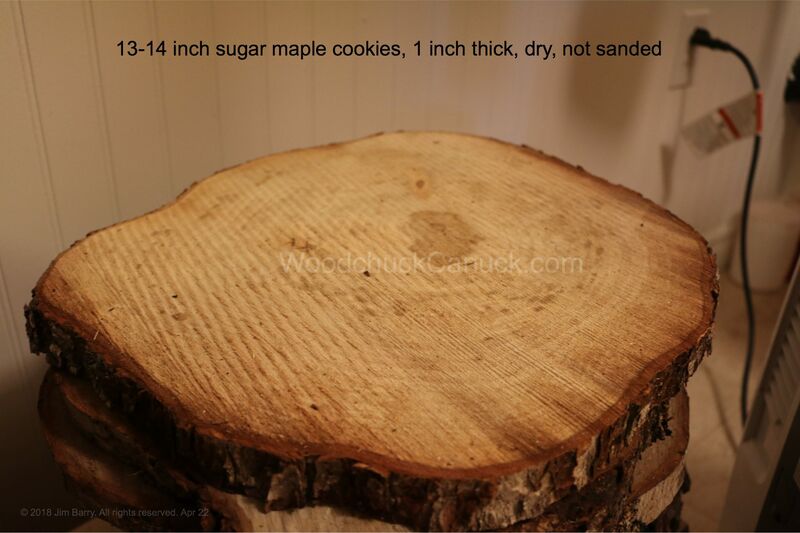 The cheapest cookies would be ones we cut right off the log and the customer takes “as is”. 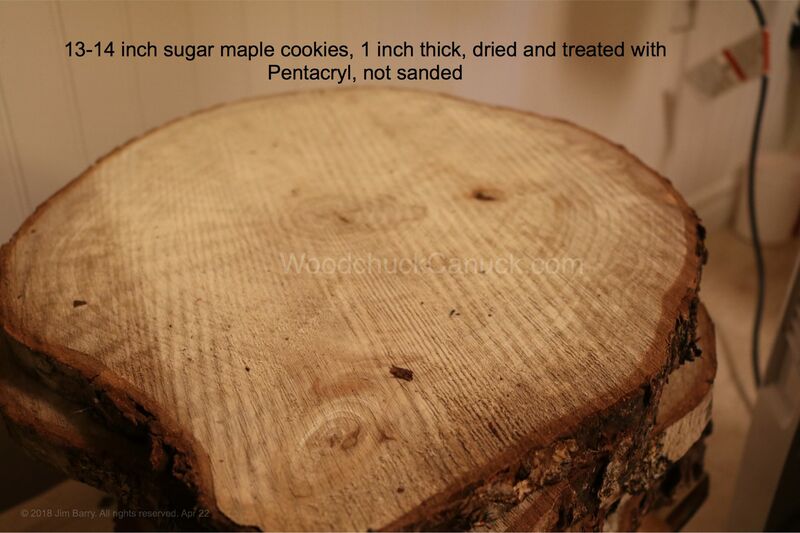 “Treated” means the cookie was coated in Pentacryl, a solution that replaces water in the cellulose structure to aid in drying an prevention of cracks. Its significantly adds to the cost of manufacturing.